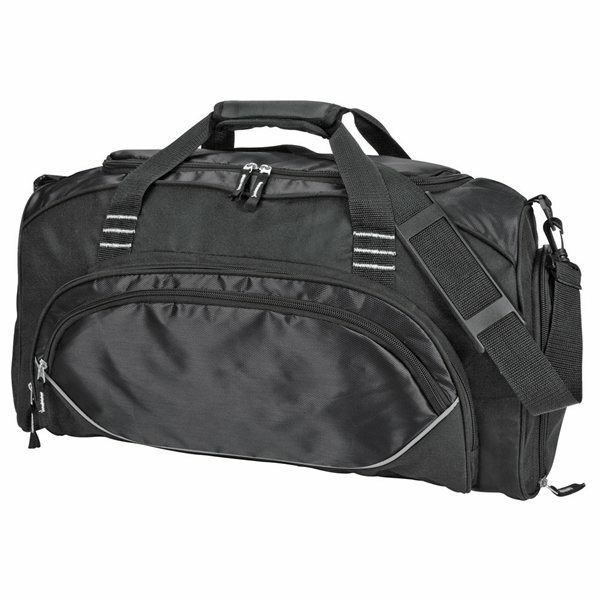 Polyester Preston Weekender Multifunction Duffel Bag 21.5"
Durable 600d black polyester non- PVC backing material with bold color dobby accent; reflective gray piping; large double zipper main compartment; 2 front zipper pocket; 1 side zipper pocket; vented zippered shoe pocket. 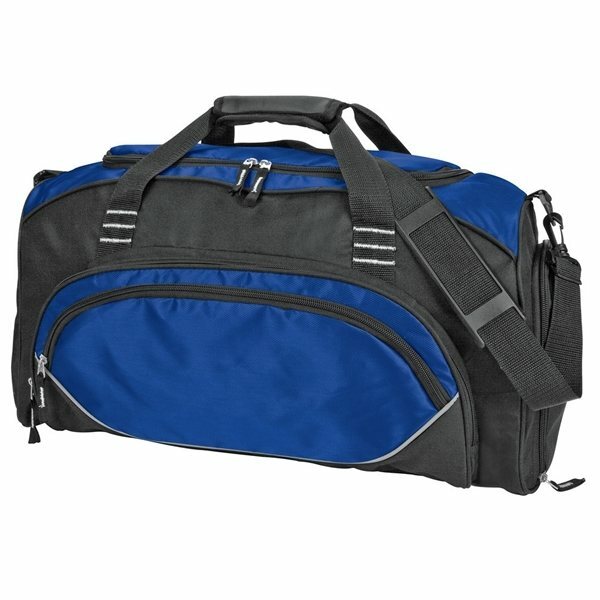 Overall Reviews: WRITE A REVIEW (21)5.005Polyester Preston Weekender Multifunction Duffel Bag 21.5"
Exactly as advertised. Quality of imprint was excellent. Nothing but great feedback from my client. the products are great and have been a success at school! 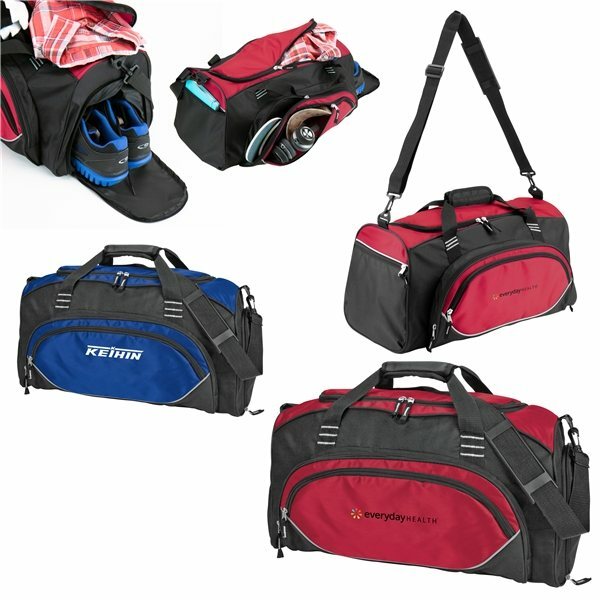 AnyPromo has so many promotional items to choose from! Everyone loved this item. Our logo came out so nice. they're an excellent publicity giveaway!